The major carriers all have their iPhone launch offers out. AT&T and Verizon seem to both be offering the same basic deal, buy one and save $700 on another. T-Mobile has the same thing plus a trade-in offer for $300 off. Sprint may have the best deal of all though. Customers can get an iPhone XS for $0/month with an eligible trade in. Through 10/5/18 Sprint is offering the 64GB iPhone XS for $0/month and the 64GB iPhone XS Max for $4.17/month with an eligible device trade in. Devices that can be traded-in for the offer include the following: iPhone X, iPhone 8 Plus, iPhone 8, iPhone 7, iPhone 7 Plus, Samsung Galaxy S9, Samsung Galaxy S9+, LG G7 ThinQ, Samsung Galaxy S8, Samsung Galaxy S8+, Samsung Galaxy S8 Active, Samsung Galaxy Note8, Google Pixel 2, and the Google Pixel 2XL. This offer does require you to activate a new line of service and have approved credit. Customers will then get the iPhone XS for free or the XS Max for $4.17/month on a lease after a $41.67/month bill credit. The bill credit will appear within the customer's first two billing cycles. Customers will be required to keep their leases for 18 months. If service gets canceled the remaining lease ($41.67/month multiplied by however many months of the lease you have left) balance will automatically become due. Sprint is also offering the iPhone 8 for $8/month on a Sprint Flex lease. The iPhone 8 Plus is available for $12.17/month. Both offers expire 10/4/18. Verizon is offering "buy the latest iPhone, save $700 on another." They are also offering $100 or more for trade-ins, but the two offers cannot be combined. To buy one save $700 customers can mix and match any two of iPhone XS Max, XS, X, 8 Plus, or iPhone 8 256GB devices. Customers must be adding a new line of service and must pay the full price for both phones. Then over the course of 24 months a bill credit of $29.16 will be issued to the Verizon account that purchased the phones. Alternatively, a 64GB iPhone 8 can be purchased with a $24.99/month account credit. AT&T has a similar offer although the AT&T offer does expire today, 9/25/18. For the $100 or more in a trade-in, you'll get $100 off an iPhone Xs Max, Xs, X, 8 Plus or 8 when you trade-in a device that's in good working condition. The $100 will be issued to you over the course of 24 months in the form of monthly bill credits. If your phone is valued at over $100 you'll get the full market value for the device in the form of an account credit within your first two billing cycles. If you are a new Verizon customer you'll receive a gift card within two weeks of trading in your device. The gift card will be worth the full value of your device. Eligible devices for a trade-in include: Apple iPhone X, 8 Plus, 8, 7 Plus, 7, 6s Plus, 6s, 6 plus, 6, 5s and SE. Here are the other devices that are eligible for this trade-in offer: Google Pixel 2, Pixel 2 XL, Pixel and Pixel XL; LG V30, V20, V10, G6, G5 and G4; Motorola Z2 Force, Z Force, Z2 Play, Z Play, Z Droid, Z Play and Turbo 2; Samsung GS9, GS9+, GS8, GS8+, GS7, 7 Edge, 7 Active, GS6, 6 Edge, 6 Edge+, 6 Active, GS5, GS4, Note 8, Note 5, Note 4 and Note Edge; HTC 10 and M9/M9+. T-Mobile is offering up to $300 off the purchase of an iPhone XS with eligible trade in. To get it customers must purchase an iPhone XS Max, iPhone Xs, iPhone X, iPhone 8 Plus or iPhone 8 on a monthly installment plan. Eligible trade-in devices include the iPhone 8, iPhone 7 Plus, or iPhone 7. Customers can receive $200 via a rebate for trading-in an iPhone 6s Plus or an iPhone 6s. A $100 rebate is being offered for the trade-in of an iPhone 6 Plus, iPhone 6, iPhone 5c, iPhone 5s, iPhone 5, iPhone 4s, iPhone 4, iPhone 3GS, iPhone 3G or the original iPhone. A prepaid Mastercard will then be mailed to the account holder within 6-8 weeks. T-Mobile is also offering up to $700 off the purchase of an iPhone when you purchase two devices at the same time. The $700 will be paid back in the form of account credits over 24 months. 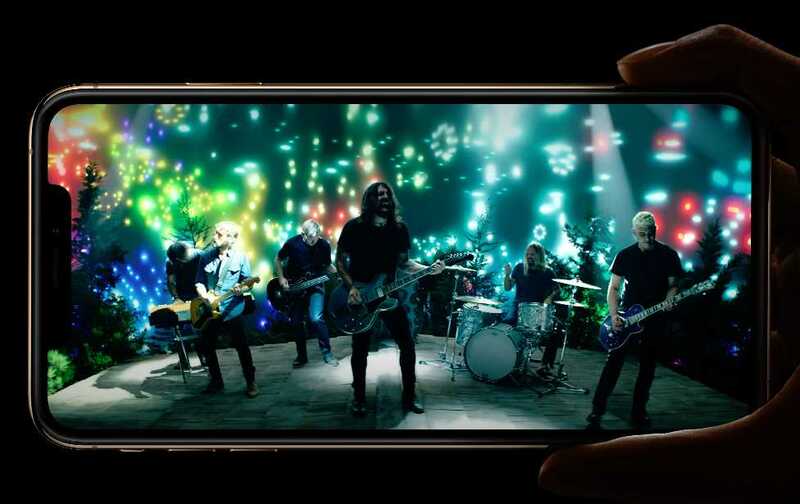 Eligible iPhones include the iPhone XS Max, iPhone XS, iPhone X, iPhone 8 Plus, or iPhone 8.